The oldest and one of the most effective Latino-driven community group working to improve residents’ lives in San Diego! Since 2001, CMCO has been promoting safe, healthy, and drug-free communities by empowering youth, parents, residents, and community partners to create sustainable change. 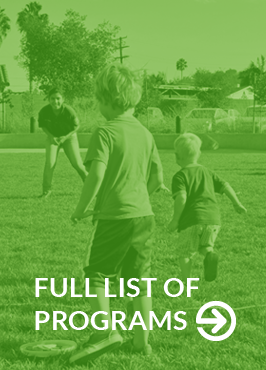 The vision of the program is a thriving, culturally aware community where health, equity, and safety are visible and experienced by every citizen. Provide a space for community residents to express their concerns, establish partnerships, discuss strategies, and share responsibilities. Build capacity amongst members to become community advocates and strengthen leadership skills. Strengthen community collaborations between residents, city officials, law enforcement, community coalitions, and social service and health providers. Improve the quality of life of in the Mid-City area of San Diego. Promotora model: effectively engaging community members into peer-to-peer grassroots action. Advocates for Change Today: providing a dynamic, youth-led leadership group. Parents Academies: training over 200 parents since 2013 on issues including alcohol, tobacco, and other drug prevention, internet safety, parental liability, gangs, domestic violence, self-defense, nutrition/physical activity, crime reporting, and problem-solving. Coalition building: hosting the City Heights Seguro y Saludable Coalition / City Heights Clean and Safe Coalition. Join the effort today! Do you live, work, or play in the Mid-City area of San Diego? The Cinco de Mayo con Ogullo Coalition convenes the collaborative efforts of adult and youth community residents, school personnel, law enforcement, City and County agencies, faith communities, and many other groups. CMCO partners with over 18 organizations and 23 parent/youth resident volunteers to serve a very diverse community of immigrants and refugees with different backgrounds, skills, and needs. The community has the highest percentage of residents under the age of 21 in the County. Through events and activities, CMCO reached nearly 2,500 San Diegans.